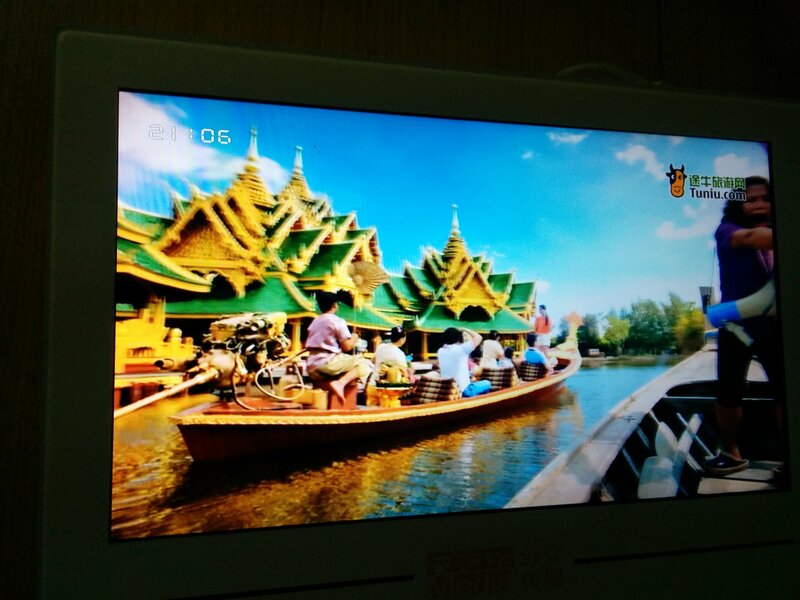 Our apartment building’s elevator, like so many in China, is equipped with a small TV to play ads for passengers. Captive audience done right, yo. So, every day for about 30 seconds per ride, we get to have short glimpses into the minds of Chinese consumers. Or at least the minds of Chinese advertisers. Here’s what was playing recently, and what it tells me about China today. The gist: Clarins facial cream will make your skin as white as a white woman’s! Sure it will. The insight: This tells me that women in China are still yearning to have the whitest skin possible, particularly on their face. Not much has changed about that desire in the past 5,000 years. It seems awfully unfair to make the goal something that is not genetically or naturally obtainable, i.e. the skin tone of a fair Caucasian woman, but since when do companies fight fair? The gist: Lux shampoo will make your hair as lustrous as Scarlett Johanasson’s! Sure it will. The insight: There are plenty of Chinese celebrities who have beautiful long hair, so why use a foreigner? My guess is Lux is trying for international star power, and the fact that Scarlett’s hair in the commercial is not jet-black is an exotic bonus. There are plenty of women here who want something other than raven locks to help them stick out from the crowd. That quest often results in something closer to “navel orange” than “beautiful brunette,” but since when do women always make wise choices in the name of beauty? Yes, those are two sets of completely bare white baby buns. The gist: Pampers keeps your baby’s rear end as happy as white babies’ rear ends! Sure they do. The insight: It was Truman Show-level creepy how many times people admired my daughter when she was a baby and uttered the exact same sentence: “She’s just like a yang wa wa, a foreign doll!” It was like the entire province had been handed the same script to read off when they saw her. I’ve also been told over and over and over and over that white children are the most beautiful children on the planet. This commercial underscores the apparent national enamoredness. Why use boring Chinese kids when you can use the world’s cutest? Sigh. It’s weird and uncomfortable to be in a country that reveres white skin and high nose bridges, but since when is the world level-headed when it comes to race? Anyone else tired of white people in Chinese commercials? Too bad, there’s one more, but in this one, he’s the bad guy. The gist: You can hire a driver who will NOT drag race with a white Vin Diesel look-alike. What a relief! The insight: This company does not appear to be trying for Uber. More like Japanese chauffeur, complete with the white gloves. But, really, my takeaway from this commercial is just how stinkin’ popular the Fast & Furious franchise is in China. Uber-popular, in fact. (Hardy har har.) They use a guy who looks roughly like Vin Diesel (think shaved head and muscles), and immediately, the Chinese audience knows this guy is going to try to drag race at the light. The chauffeur, however, is way too safe to engage in such reckless driving, and the passenger is relieved. Sadly for them, though, it means they will not be starring in eight movies about reckless driving. The gist: Skip the middle man! Find a car online from a private seller! The insight: Not that long ago, it was incredible to see ads in China for cars, period. Private car ownership is a relatively new thing here, but people are taking to it like ducks to Audis, especially as they get more and more M-O-N-E-Y. This has led to there being a market for used cars, and now, used car websites that are advertising consumer-to-consumer sales. Let’s review, class: 1) not just cars, but used cars, and 2) online sales of cars between private individuals. Whoa. This is not your grandfather’s China. The gist: Go with this tour company, and you will have a relaxing, pampered time in Thailand instead of getting screamed at by a tour guide. The insight: There’s a lot of hullabaloo about how many Chinese tourists are now flooding the world, thanks in part to an incredible increase in M-O-N-E-Y in the country. I won’t go into whether or not there should be a naughty list for rude tourists. What I’ll say is that this ad tells me that as more Chinese citizens go on vacations abroad, they are waking up to the fact that their trip does not need to be a non-stop, frenzied cattle drive through as many cities in as short a time as possible, rushing to keep up with the bullhorn-wielding tour guide without losing your matching hat. In fact, they’re discovering you can actually relax and enjoy yourself on a vacation overseas. If this keeps up, there will soon be something like Lonely Planet guide books or websites for Chinese folks who want to plan the trip themselves. Gasp! The gist: The Jingle says: No matter where you are, I can call you immediately! The lesson: Is this even a thing outside of China? 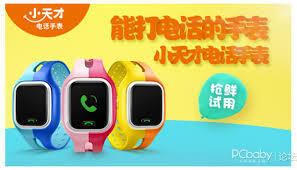 Watch phones for kids that only call a limited number of people like your Mommy and Daddy. These watches start at about US$100 just for the device, which once again spells M-O-N-E-Y. We’re talking about a country where most people make less than US$10,000 per year, folks. However, the rich are getting richer, and they’re buying iPhones for their fourth graders. I guess it simply follows that the preschool crowd would start out with a watch phone. So, in case you didn’t have time to read all that, here’s the executive summary: white people; money. It will be very interesting to see how advertising changes as Chinese consumers and the economy changes. For now, 电梯下楼, 门要关了! I’m still stunned by your title – ELEVATOR?? 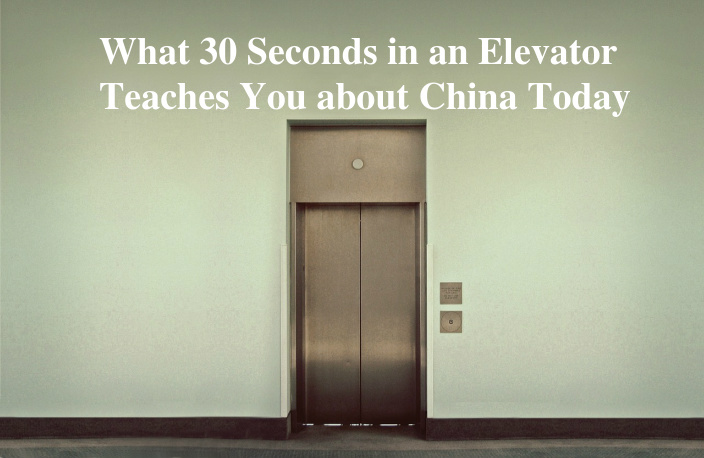 To hear my son (in Luoyang) tell it, hardly any apartment buildings outside of the tourist areas have elevators. He gained a whole new respect for Chinese movers after watching one carry his future in-laws’ refrigerator on his back while walking down six flights of stairs in the old apartment building, and up seven flights of stairs in the new! I think it’s a really good example of how varied things are in China. I’ve been in places where it would be astounding to see an elevator. But in all the areas of new development, with apartment buildings that are often 20 or 30 stories high, elevators are a given. And then there’s everything in between. Somewhere I have a photo of a guy carrying our fridge on his back on the staircase. It’s pretty amazing what those guys can lift. I think its the law here that anything over 6 or 7 floors has to have an elevator. And no-one is building anything that short these days in the cities – even in Luoyang! (I live in Henan too but a different city). I think I’ve heard something similar, like 8 floors or more requires an elevator. One of the places we lived had only just gotten the very first xiaoqu that featured elevators. I’m sure there will be more coming soon. Seems to be a problem no matter what country you’re in, right? I was telling some Chinese friends about sunbeds today – they were shocked! I agree, the watch phones are cool! It continues to amaze me that something that expensive (relatively) for children would even be available here, but I have to keep reminding myself that China is a very different place than it was 10 or 20 years ago. A little girl in my husband’s school got picked on by a little boy in her class and called her grandmother with her watch phone, and much to everyone’s surprise, especially the teacher’s, the grandma came bursting into the classroom and grabbed the little boy by the collar and dragged him out. Whoa, that is one lihai grandma! I’m guessing that’s not quite how the watch phone manufacturers were thinking the phones would be used. Oh, China. You’re not helping the race debate in America. We “white” people don’t need to be put on any higher of a pedestal. (See post I just wrote on FB). C’mon, VPN! Here it is..lots of good stuff in the comments, though, when you can get on again. This is long, yes. But this needs to be pondered, people. Lots of thought-provoking convos with the hubby lately, stemmed from our kids’ innocence. They rarely describe other friends by the color of their skin, but when they do (probably only because they heard someone else say it), it’s “brown” or “tan” or “light tan.” Never “black” or “white.” Because we’re not, right? Aren’t we ALL shades of brown? So then Michael and I started discussing how God viewed people. By color? No. He described them by tribe or nation. He referred to animals and clothes as “black” and “white,” and although black or spotted represented imperfect and white was pure, He was NOT linking those colors and thoughts to PEOPLE. Blacklist(not the TV show). Black sheep. Black thumb. Black market. Black mail. In a resource we came across recently that explains the Gospel, black represented sin and white represented purity. These phrases aren’t wrong in and of themselves. But we have (sometimes subconsciously) linked them with people, depending on the shade of their skin. This whole calling people by the color of their skin hasn’t been happening that long. Some of these phrases and representations have been in tact much, much longer. But now they are linked. And not just in America. Around the world, in ancient times, “black” represented death or evil. Now that is linked to a person with dark skin. By the way–Asians aren’t crazy about being called “yellow” nor Native Americans “red.” That song is awful. “Yellow” has some pretty negative connotations in Asian cultures. Really interesting thoughts and reflections, Ashley. You bring up some important questions, and there is a lot here to chew on. Thank you for sharing this. I love the ads depicting genius babies composing symphonies on the violin thanks to the awesome formula their nainais fed them! I haven’t seen those yet, but I’ve certainly seen ads that depict formula as being the smart, scientific choice for babies, so it’s no surprise it makes violin prodigies out of normal babies. We had plenty of people ask if we had our families ship us American formula when my daughter was a baby. They were convinced that our superior formula was the reason Americans grow to be so “tall and beautiful.” Looks like the advertisers win this round. 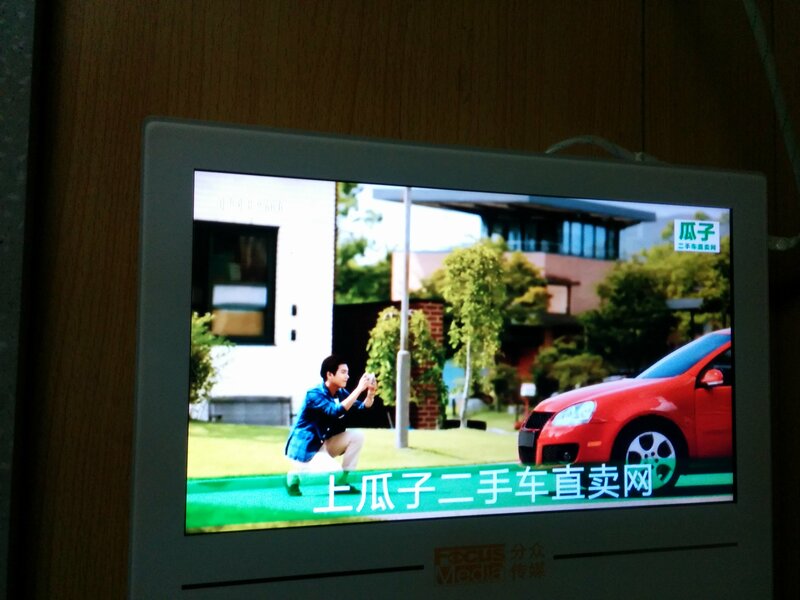 Speaking of ads…I saw in Chengdu bus station, while waiting to go to Xichang, a commercial for the Chevy Malibu. It was the usual car ad that included flashbacks of the original Malibu of the 60’s. In 1960’s China there were no Malibus. Having had one would likely lead to self condemnation, prison, etc because of it’s Yankee influence. Interesting…marketing a memory that never existed. That is fascinating, Tim. Nostalgia for a different culture’s bygone era. I wonder if it’s effective?